Many people think of projectors as big, clunky devices. However; modern technology has made projectors capable of being ultra-light devices which can even fit inside of your pocket! 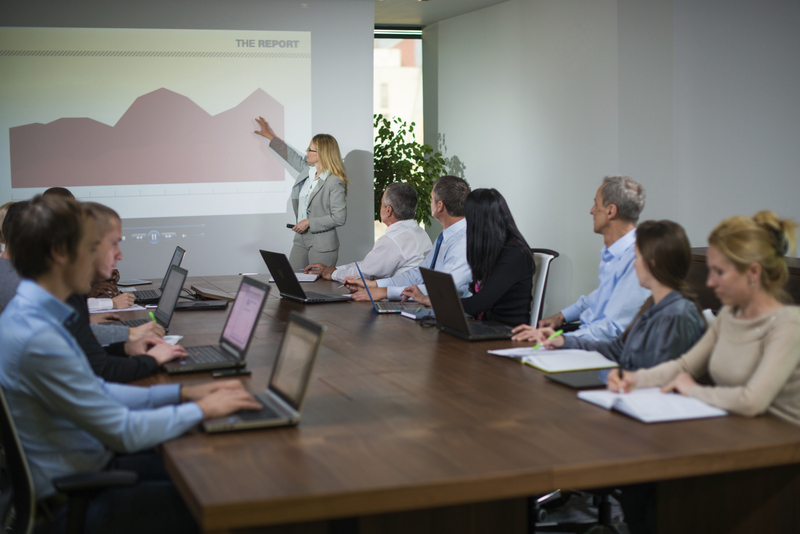 Due to their size, portable projectors can be very useful in a variety of situations. 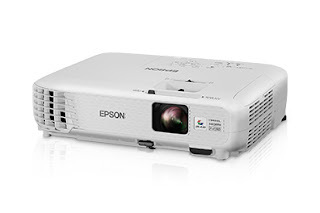 If you are a travelling business person, you can make your job easier by getting a portable projector rental. Renting a portable projector will enable you to hit multiple presentation destinations in a shorter period of time because you won’t have to deal with the hassle of packing up a heavy projector. However; if you are presenting inside of a large auditorium, you may want to consider getting a large venue projector rental instead. 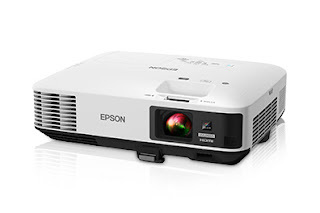 Portable projectors are not only amazing for business purposes, they are also extremely practical for personal use. It is no secret that projectors are great to have on hand for parties. 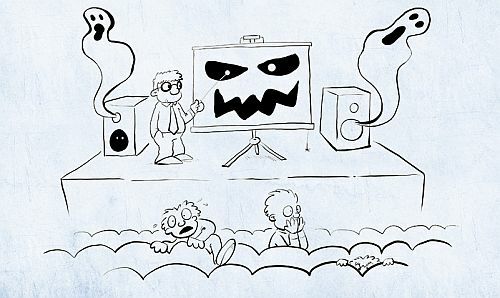 During this time of the year, projectors are often rented to display horror films at Halloween parties. 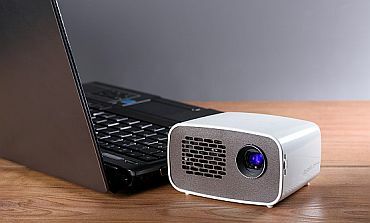 Portable projector rentals for family reunions are also a common example of renting a projector for personal use. Having a portable projector at your family reunion is a great way to display family history, and gives family members something to gather around and talk about. You can even use your projector as a way for family members to catch up on everyone’s important life events. 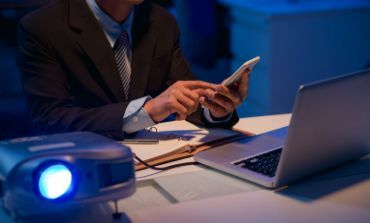 Whether you need a projector for business or personal reasons, get a portable projector rental if you want a combination of great display, and the best mobility. For more information, call us at 888-736-8301. It’s about that time of the year again folks! That’s right, only 61 more days until Halloween at the time this post was published. Halloween is a tremendous time for decoration, and what better way to decorate than with projector rentals? Here at RentOurProjectors.com, we take Halloween very seriously. Get your pumpkins and crucifixes ready, it’s time for some serious Halloween preparation advice. At this point you have already been thinking “there are much better ways to decorate my (insert environment here) than with a rented projector”, but you know what, you’re wrong! Props and pumpkins are all well and good, but to truly add a sense of dread and horror to your environment, you need to play with the element of lighting. With the power of projectors, you can create a ghastly and dazzling display for the eyes of your fellow mortals. For residential use, projectors can be used to make your house the hottest haunt on the block. 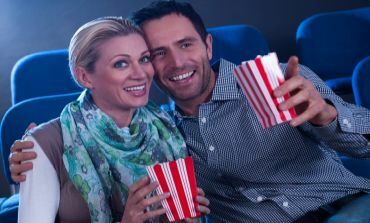 If you are a fan of Halloween parties, you can rent a projector to host the ultimate Halloween-themed movie party. If you are on the business end of the spooktrum, there is almost no end to practical usage for projectors for haunted houses. If you run a haunted house/trail, you can use projectors to keep your clientele happy and entertained as they wait in line, or use projector rentals to scare your attendees as they wait, and give them a foreboding taste of what to expect in your house of horrors. If you own a haunted house or just a regular property, if you want to be this season’s hot commodity, you should consider getting a quote from us at RentOurProjectors.com, or call us at 888-736-8301. 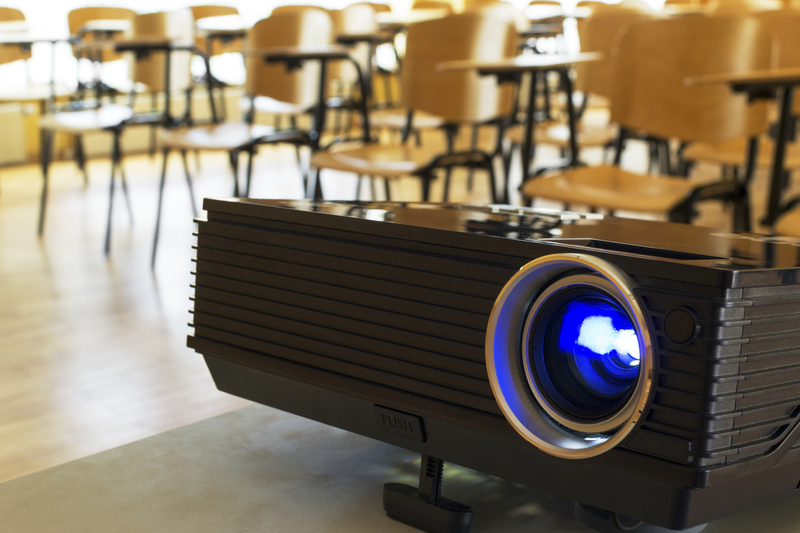 Projectors can be one of the most useful tools in hosting any event. 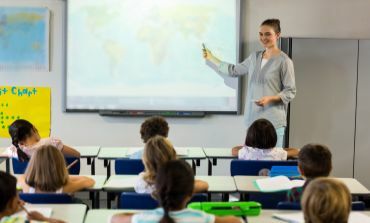 Sure, projectors can be used for normal functions like teaching classrooms or watching movies, but what other exciting things can you do with projectors? I don’t know, maybe make the coolest panorama projection ever to impress your fellow businessmen-in-arms? The above video is from an open house event called “The Big Color Bang”. This amazing display was made possible through the use of eight ceiling-mounted LCD projectors rented through RentOurProjectors.com. Projectors can be used for truly amazing things. 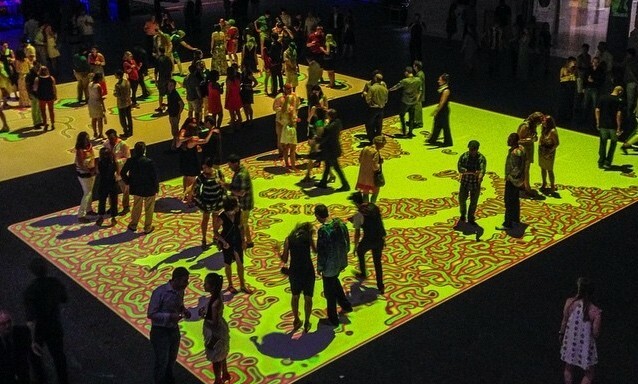 For example, you can use projectors alongside a computer and a camera to display advanced, interactive floor “carpets” which your guests can interact with. The video below is from an art installation where guests would walk through the projection and the display would react to their presence. Another clever use of projectors would be to give life to your event by orchestrating a laser light show. 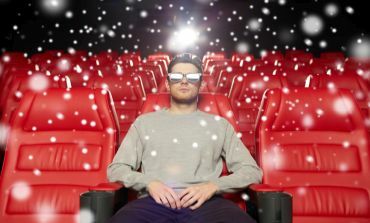 Using software and a high-lumen projector, you can put on a very impressive laser light show to accompany whatever music you like. 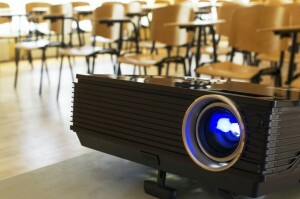 One final reason to get a projector rental for your next event would be to display a slideshow. This is easily the least creative idea I have listed so far, but slideshows can be used in many scenarios. These scenarios include hosting graduation parties, family reunions, or business conventions. 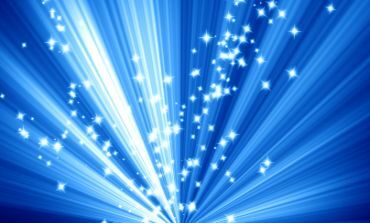 Whatever your event may be, if used with creativity, projectors can add a little, or a lot of, extra wow factor.